Earlier this week, WP Tavern wrote up an excellent piece on Jason Schuller’s newest project, Pickle. I’ve ended reading over the article (and the comments) a number of times because I think there are some really, really great though as it relates to using WordPress as an application platform. This is something that I’ve talked about a number of times and it’s something that I really want to see happen more and more in the future; however, this is one of the first times that I’ve really seen someone take WordPress, use it as a foundation for solution that’s built towards a specific market, and then articulated it in such a way that does a great job of expressing what exactly it means for WordPress to be an application platform. 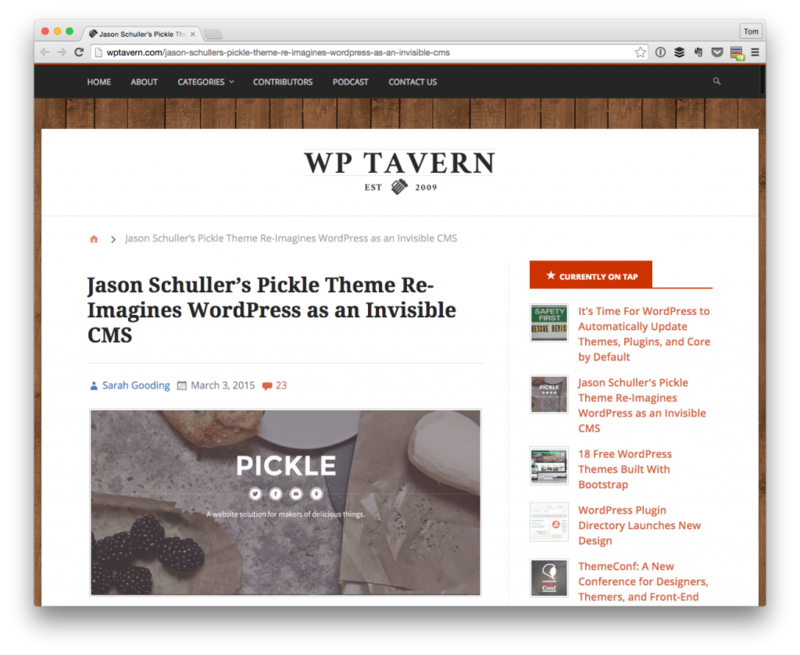 Pickle and WordPress: An Invisible CMS? When I first read this in the title of the article, I was immediately intrigued and actually a little skeptical as to what I was about to read. Most of the time, you know, we’re all proud to wave the WordPress banner and the idea of burying WordPress seemed to be in strong opposition to that. That is part of what it means to be using WordPress as an application foundation. Sometimes I think that we get so caught up in the bubble of our peers, our own projects, and our peers’ projects, that we forget to think in terms of the market who would use such a solution. Permitting it solves a problem, what does it matter what it’s powered on? Don’t take this idea too far – I mean I’m not advocating for building solutions on sloppy foundations – but when you find an app for, say, your phone do you care that it’s written in Objective-C or Swift? Sure, some purists might, but the general, non-technical end user who needs a problem solved? Nope. They want something that looks good, functions well, meets a business need, and allows them to focus on their business and/or their core competency. In the case of Pickle, it’s preparing and service food. It’s not about arguing over how the site is getting to the browser. If you’re a WordPress developer, this is where the alarms start going off and you immediately want to dismiss the solution as a piece of junk. And I’m certainly not saying that we should go this way, but I do think that there’s a time and a place for us to honor all of the coding standards that we have (especially in themes, plugins, and other publicly released work), and then maybe relax when we’re talking more about something that’s not going to be used as widely by developers, designers, and so on. Again, this is essentially a SaaS (well, unless you download it, but I digress on that point). Does it work? Does it work well? Does it solve a business need? Oh, so Yoda Conditions aren’t used throughout the codebase. I guess it’s not a worthwhile solution. I applaud Jason for taking a step outside of the usual bubble (to be clear, a bubble that I think WordPress developers shouldn’t try to pop, but to expand) to meet a business’ needs. All minuté details aside, I highly recommend reading the original article and checking out Pickle. It really, really does a great job of showcasing what we’re capable of doing with WordPress as a web application platform, how we can expand beyond what we’re used to seeing, and how we’re going to be able to go even further when the REST API is eventually released. Props to Jason, what he’s doing, and Tavern’s coverage. I can’t wait to see more things come out like this. Pickle is a beautiful thing. I really enjoy following Jason’s projects on github and hope to see more WP stuff like this from him. Honestly I see these types of solutions becoming more and more popular. I might get lynched for my next comment, but WordPress is too difficult for your small business owner to work. There’s too much. Almost every client I’ve ever worked with over the years has no idea, and frankly no interest in learning the system. Most of the clients I work with just want me to maintain the site for them. This is fine but in my opinion defeats the purpose of having a CMS in the first place. The ones that do manage their own sites almost only edit the posts for their blog and that’s it. Solutions like this that focus on one specific market, I believe, are the way of the future. Good for him and Aesop for developing something that people can easily use themselves. I love the idea personally and would love to be able to build something like that. 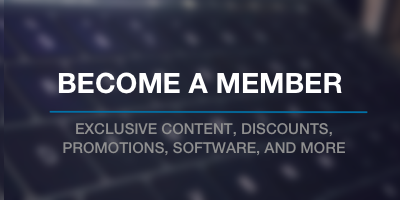 @Timothy – If you’re focused on selling WP to small businesses that don’t see themselves as content creators or in need of much content marketing, WP used well is a costly solution nowadays in terms of the hosting and maintenance it requires over time. Does a dentist, plumber, or cafe even need a relational database? Generally speaking, no they do not. Maybe they need a booking calendar, but that can be done with an integrated hosted solution. For this type of business a “website” will always be a cheap commodity that is only one part of a larger set of their total business and marketing service needs. Take a look at Jason’s “Leeflets” (for which there is a version of Pickle) — it is the basis for front-end editable themes that store all user content and settings in a JSON file. Perfect for anyone who just needs some brochureware, but it is capable of more than that. If you’re interested in a flat-file, full-fledged CMS, there are quite a few maturing projects in that category now. It would be interesting to see what would happen if they spawned hosted versions. Squarespace acquihired brace.io, which provided users with a minimal CMS (markdown and code editor) hooked up to a Dropbox folder and an IP to point their domain to. Oh boy. We’ve never run into this before. Sorry, Tom. I’m looking into it. Arr! Sorry about that, I must have clicked one of those traps in LinkedIn where they spam your whole address book. Still, we should figure out a graceful way to handle this sort of thing in the future. There are some headers which LinkedIn could be placing in the email which our machinery would recognize, but I guess they don’t. We’ll see what we can do on our end. I’m with Timothy. After 8 years as a WP professional I feel the same way. I’d say only 50% of the CMS sites i’ve developed actually get used for that purpose. The other half always come back to us to make updates for them. And we pride ourselves in making extremely easy to use backends. It’s just too much for the average overworked biz development or marketing person to handle. Some of our clients really take to WordPress. Others very much do not. I find it has less to do with competency of the person/people tasked with maintaining the site… and a whole lot to do with how much mental space they have to dedicate to it. I’ll be surprised if projects like Pickle don’t solve that. That is part of what it means to be using WordPress as an application foundation. Not to beat a dead horse Tom but remind me again why you’re afraid of using the industry standard for The F Word? That is, Framework. I mean, remove WP from Jason’s quote and instead use (say) Symfony. Who calls Symfony a foundation? What is WP afraid of? Why the disconnect between “we want to grow up” and “but don’t look at us as being THAT grown-up”? I’m not afraid :). I just think we need to be careful – in software – to distinguish between frameworks and foundations. Rails, Laravel, et al. are frameworks. That is, you install them and then you begin building things using their APIs, etc. On their own, though, they aren’t capable of running anything. They aren’t applications. WordPress, on the other hand, is a full-fledged application. That is, it can run on its own once it’s installed. Since everything that we use build on top of is essentially an extension of functionality that it already offers, I see it as a foundation. I don’t mean it as a lack of self-esteem at all :). Maybe I’m splitting hairs or being too particular, but that’s how I’ve always seen the two (and I feel this way since I’ve come from the world of frameworks into WordPress). Once the new REST API is ready and we’re doing things without the actual dashboard, then maybe I’ll use the F word ;P.